It seems like the Raleigh, North Carolina area just can’t stop receiving accolades. In 2018 alone, North Carolina’s capital was ranked first among 2,000 GeekWire.com readers as a place tech industry employees would most want to live, 13th best place to live among 125 top cities considered by U.S. News & World Report. As the area continues to grow in popularity, the real estate market has naturally become increasingly competitive. 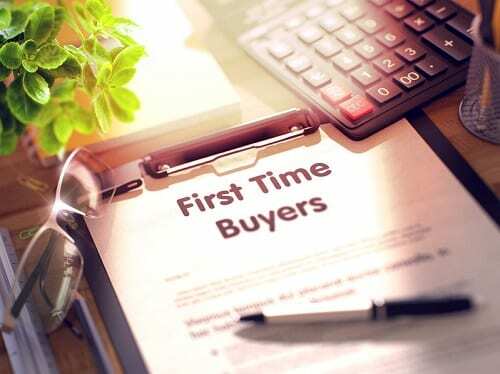 Since this can present a challenge for even the most seasoned buyer, first-time buyers who want to ensure a successful home purchase are smart to be well-prepared for the process. One of the first things you should be thinking about is a legitimate estimate of how much house you can really afford. Coming up with a number isn’t as arbitrary or complicated as it may seem. You should be looking for a housing price where the mortgage and all of your other monthly debts won’t result in a debt-to-income ratio of more than 36%. Home affordability calculators like this one from Nerd Wallet can help. Why It’s Important… Remember the years leading up to the 2008 housing crash where people were approved for mortgages they really couldn’t afford? A mortgage represents a huge and permanent commitment. Falling short on your payments could mean financial disaster for you, so ensuring you don’t bite off more than you can chew is essential. Save yourself future heartache by getting pre-approval for a mortgage loan. A lender will check basic information like income, assets, and credit, and provide you with a letter indicating how much they’re willing to lend you. Why It’s Important… If you find that perfect house, both the real estate agent and the seller will me more inclined to accept an offer if they know you’re a serious buyer with the financial ability to finalize the deal. Years ago, you couldn’t buy a home without a down payment of at least 20% of a home’s value. That’s since changed, but it’s still a great goal to shoot for. Why It’s Important... A down payment gives you instant equity in your home so if the market takes a turn downward, you’re unlikely to owe more on the house than it’s worth. Plus, a bank will tack on private mortgage insurance (PMI) to your monthly payment if you have a down payment of less than 20%. Once you’ve made an offer on a house, you’ll need to provide detailed financial information for the loan application process. Why It’s Important… Lenders are diligent about verifying income and debt. Misrepresenting information could make you subject to mortgage fraud. You’ll need tax documents, pay stubs, and any number of billing statements – make sure you have quick access and send them as soon as they’re requested. Hiring a licensed Real Estate agent is a must – they act as a valuable representative, ensuring you’re treated fairly in the transaction. Why It’s Important… A licensed agent bring access to a large database of listings and an in-depth knowledge of the area to help satisfy your must-haves in a home. As your representative, they write a competitive offer protecting your interests, and ensure everything runs smoothly to get you to a timely closing without any major hitches, help you arrange home inspections and negotiate the resolution of any significant repairs needed, and help you with anything other challenges that might arise. Are you a busy professional who eats out and travels often, or a couple planning on starting a family? It’s important to carefully consider the type of home you want, whether it’s a condo in the city or a single family house in the ‘burbs. Why It’s Important… A house is a big purchase and the buying process takes time. It’s wise to think about what your life looks like now as well as what it might look like in five or even ten years so the home you want today is the one you’ll still want to live in tomorrow. It’s standard practice to hire a home inspector to do a thorough check of the property. Additionally, the bank will arrange for an appraiser to complete a valuation of the home. Why It’s Important… Any major structural or maintenance problems may allow you to back out of the deal or get the homeowner to make and pay for repairs prior to closing. An appraisal ensures the asking price of the house is in range with other comparable properties in the area so you won’t end up overpaying. If there’s a discrepancy between the appraisal value and the asking price, the homeowner may drop the price, or you may have to come up with the difference, since a bank won’t lend more than the house is worth. If this sounds like a lot, it is! And there are so many other things to consider! Oak City Properties knows the home buying process can be complicated, but we also know using a qualified, experienced agent can provide peace of mind, especially for first-time buyers. We provide knowledge, expertise, and most important, the patience needed to answer all of your questions and help walk you through the process so you can reach the closing table successfully. Give us a call today to discuss how we can help you with your home buying needs!